Speaker Series are free and open to the public and do not require registration. The Museum of the Big Bend in conjunction with Humanities Texas is hosting the exhibit Russell Lee Photographs from February 17th through March 29th. This traveling exhibition of photo- graphs by renowned documentary photographer Russell Lee draws from the magnificent archive that he donated to the Dolph Briscoe Center for American History just prior to his death in 1986. Russell Lee Photographs offers a rare glimpse into the remarkable images he pro- duced in 1935 and 1936 when he first took up a camera and goes on to highlight the vast body of important work that Lee produced from 1947 through 1977. On Thursday, February 19th starting at 6pm, the public is invited to an evening celebrating the life of Russell Lee. The evening begins with the showing of the rare Russell Lee biographical film Today, Tomorrow’s History by acclaimed cinematographer Ann Mundy. This hour long documentary weaves the biography of the legendary Depression-era photographer with the history of photography, and social history during the Depression. After the film, enjoy a lively Roundtable Discussion with two of Russell Lee’s many friends. Historian Lonn Taylor and photographer Jim Bones will share their personal stories of Lee and how he influenced their lives and careers. Time: 6-8 pm / Film to start at 6 pm, Roundtable at 7 pm. For more information, contact Mary Bones at 432.837.8734 or ude.s1555771408sorlu1555771408s@byr1555771408am1555771408. Join the Museum of the Big Bend as we celebrate those who embody the true spirit of adventure in the Big Bend! Thursday, February 26th – 6 to 8 p.m.
Russell Lee Photographs offers a rare glimpse into the remarkable images Lee produced as a FSA photographer in 1935 and 1936 when he first took up a camera and goes on to highlight the vast body of important work that Lee produced from 1947 through 1977. 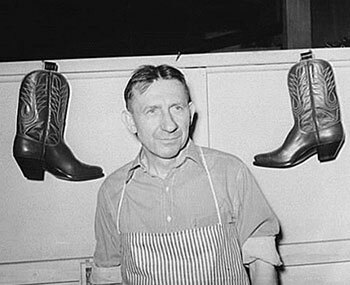 “Good Reliable Work” Striking out on his own, Kurt Lange left Germany in 1905 for Galveston, Texas, and by 1911 established a bootshop in Alpine. Learn about his journey and the art of bootmaking with photos of Lange and his workmen by Russell Lee. 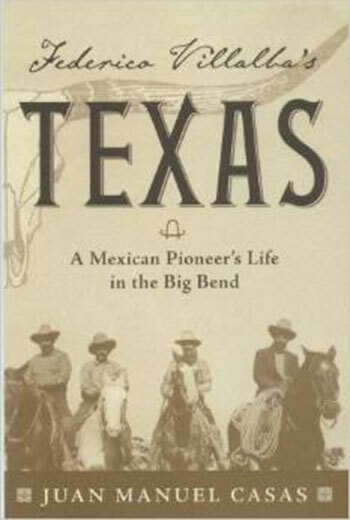 Mexican Pioneer in the Big Bend Based on the historical novel Federico Villalba’s Texas: A Mexican Pioneer’s Life in the Big Bend by Villalba’s great-grandson, Juan Manuel Casas, this exhibit examines Villalba’s history and his move to the Big Bend in the late 1880s. Family photographs and heirlooms tell the story of this Big Bend rancher and businessman.